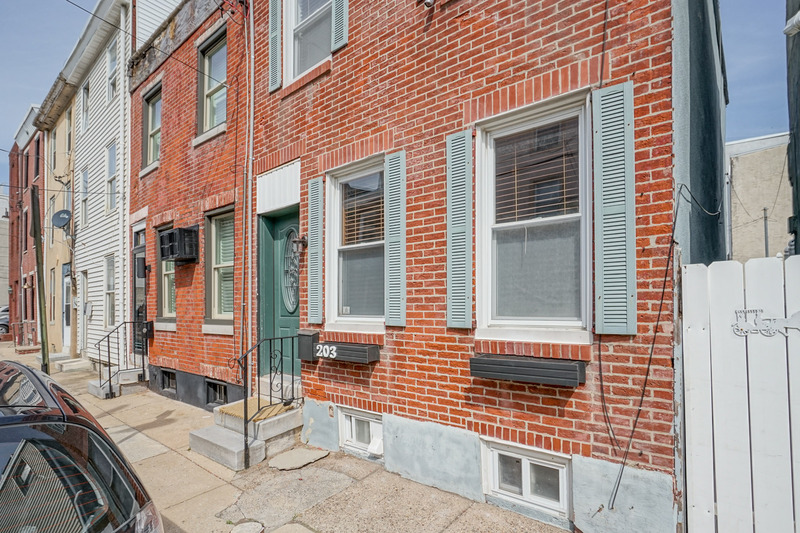 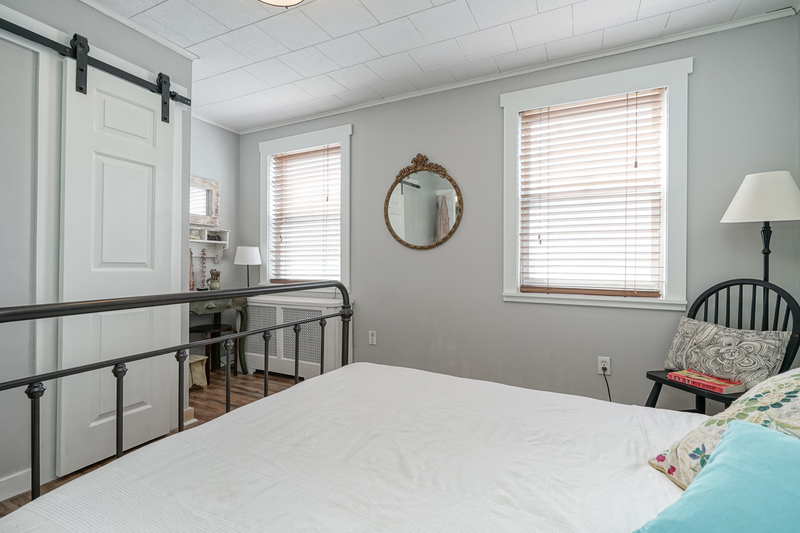 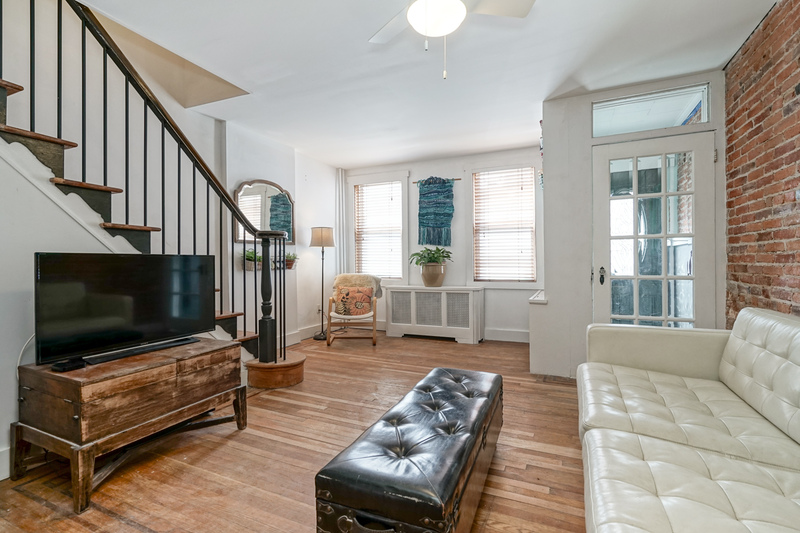 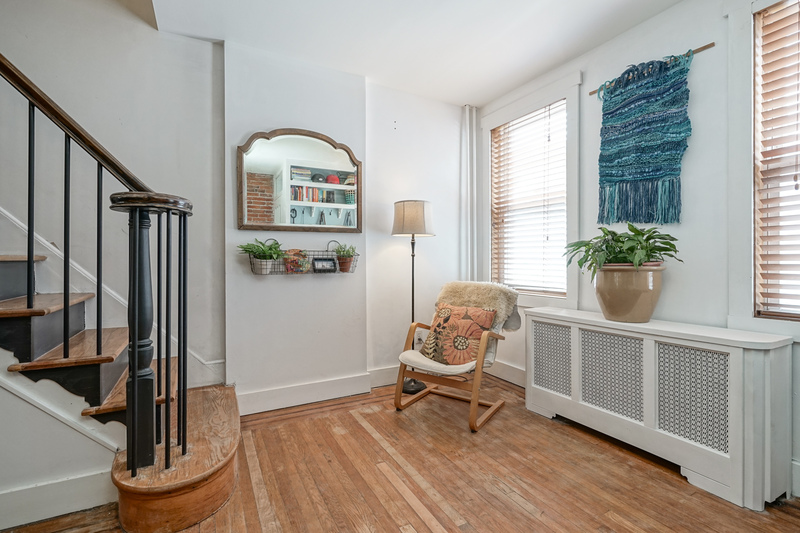 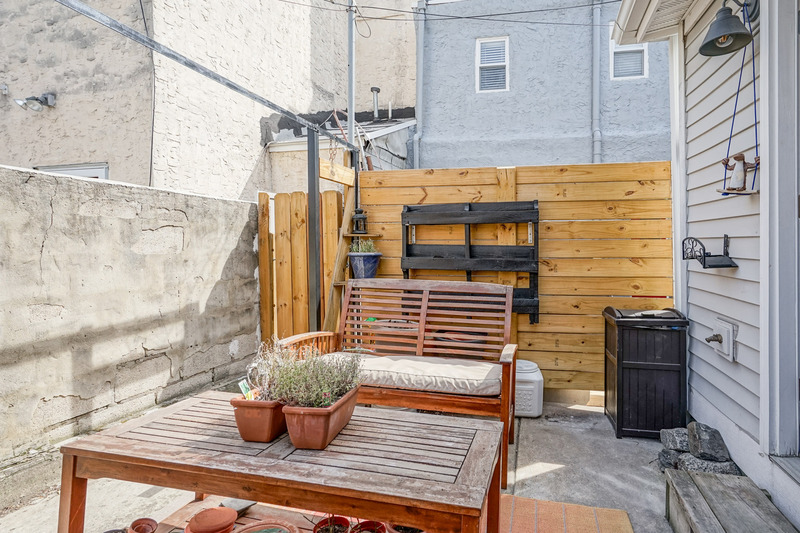 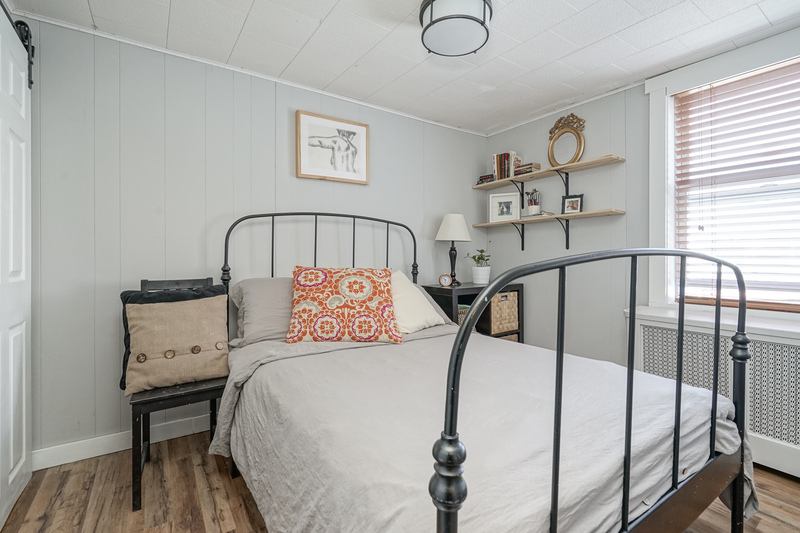 Located on a quiet and picturesque block in the beautiful Pennsport neighborhood of Philadelphia, this recently renovated home is nothing short of adorable. 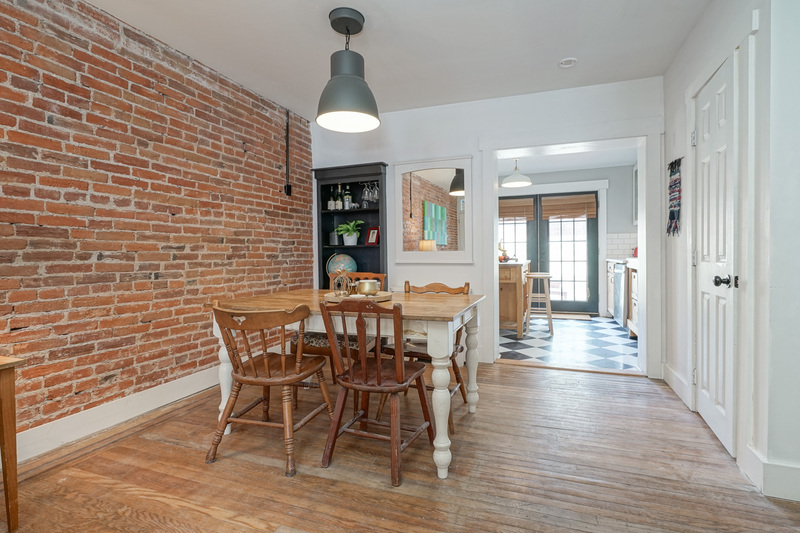 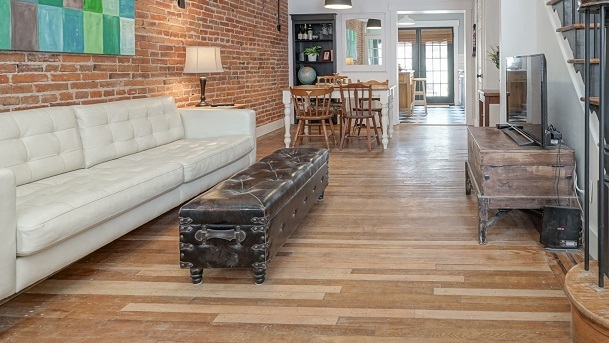 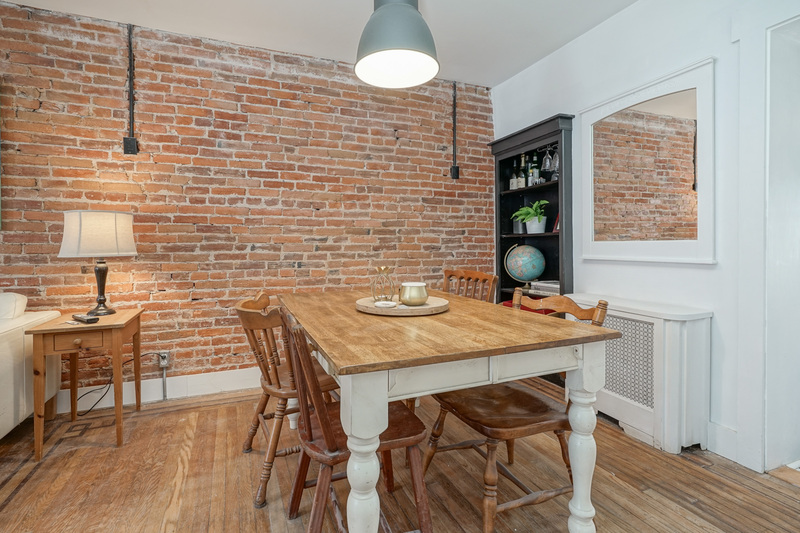 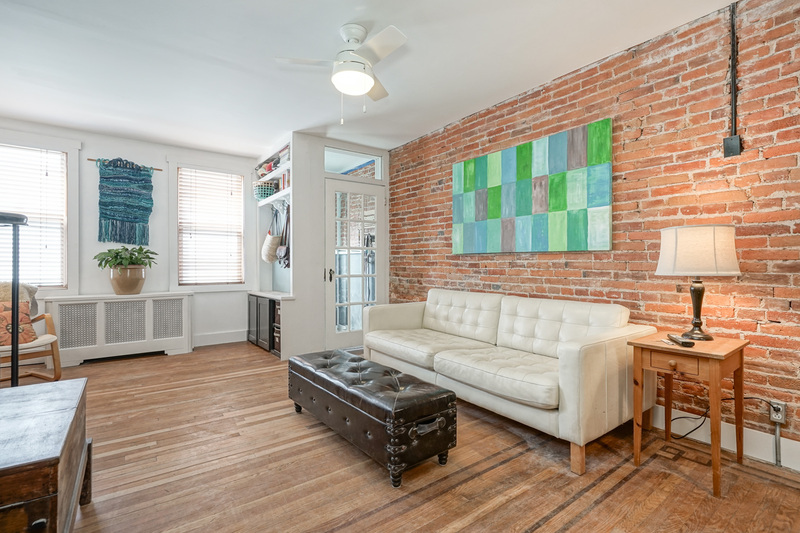 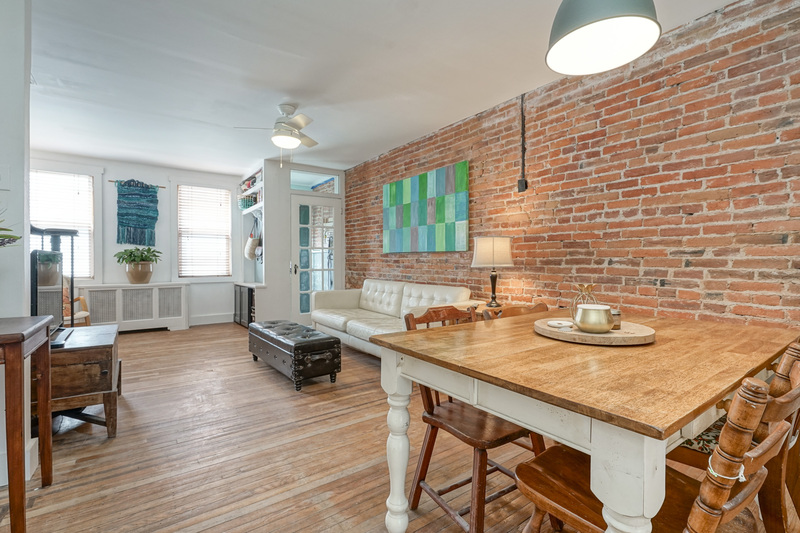 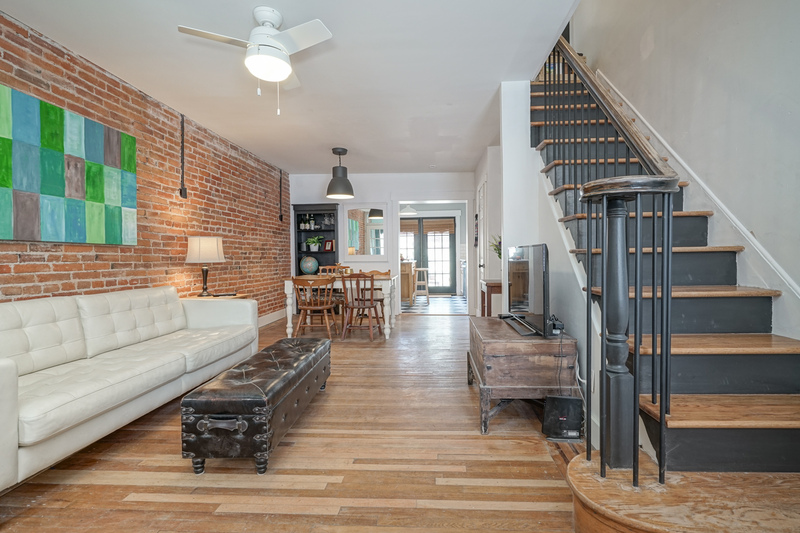 Enter through the vestibule and immediately notice the original hardwood floors and exposed red brick wall. 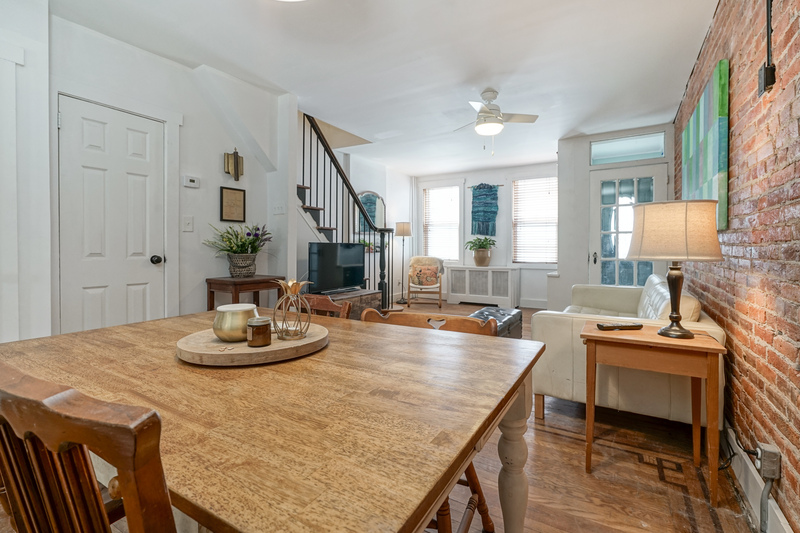 This south facing, sunlit home features an open layout in the living room / dining room with plenty of space for a large couch and a formal dining room table, ideal for entertaining. 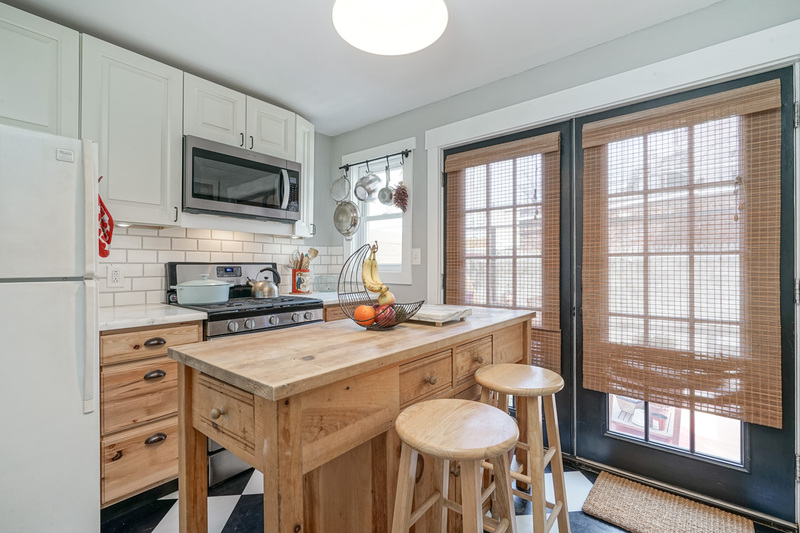 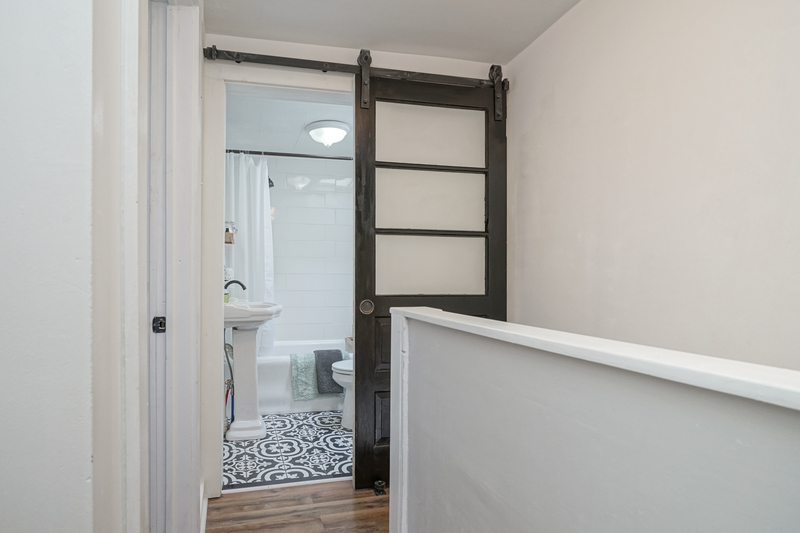 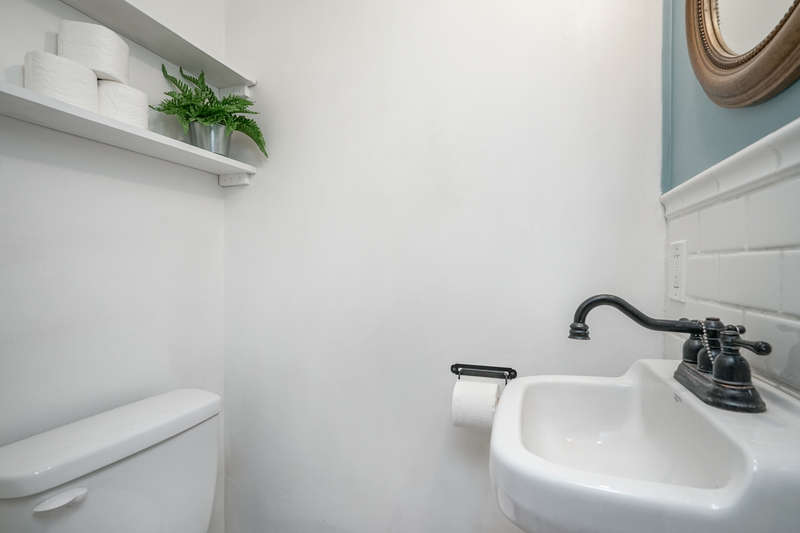 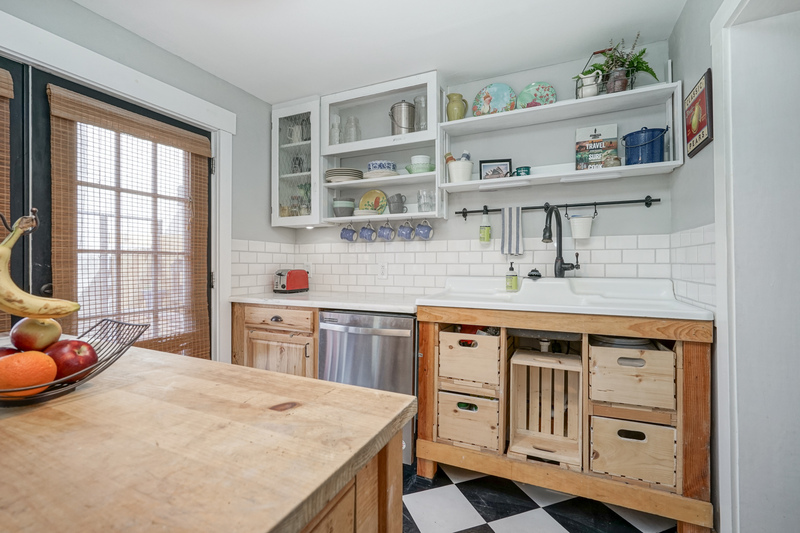 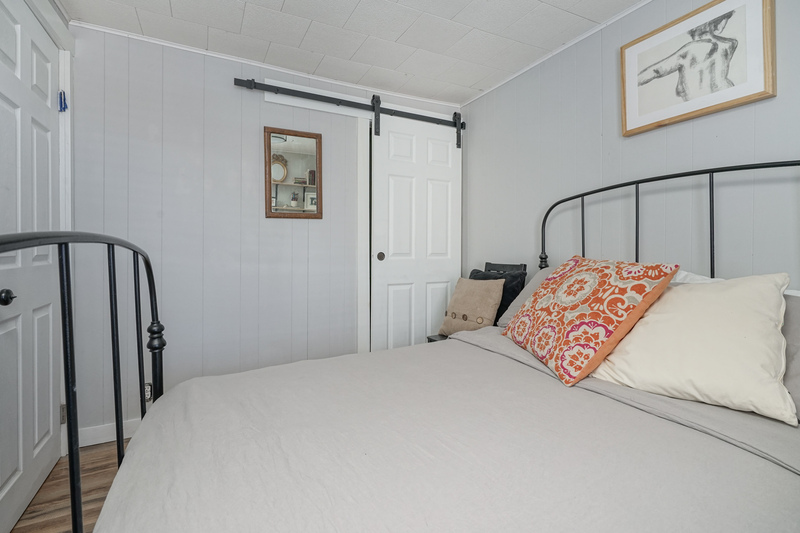 Don’t miss the cute half bath before heading back to the sun drenched kitchen which is the opposite of cookie cutter and has a charm factor that keeps on giving. 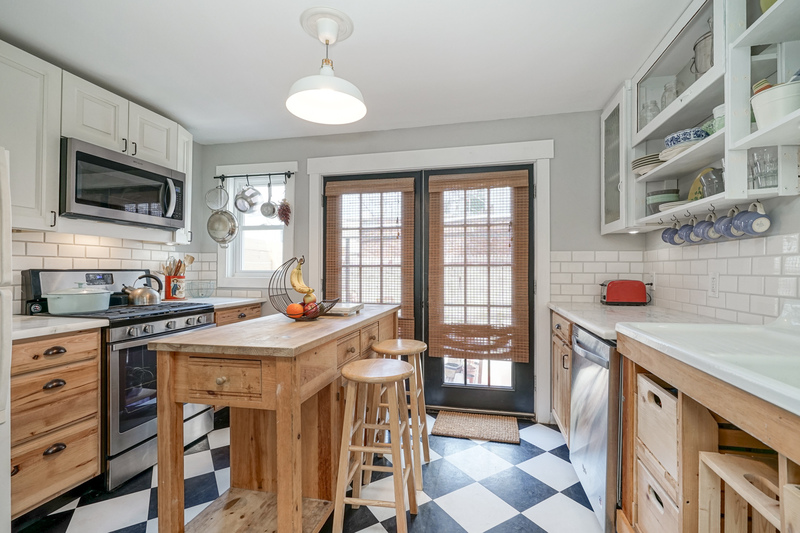 Enjoy the black and white tiled floors complemented by the custom white subway tile backsplash and marble countertops. 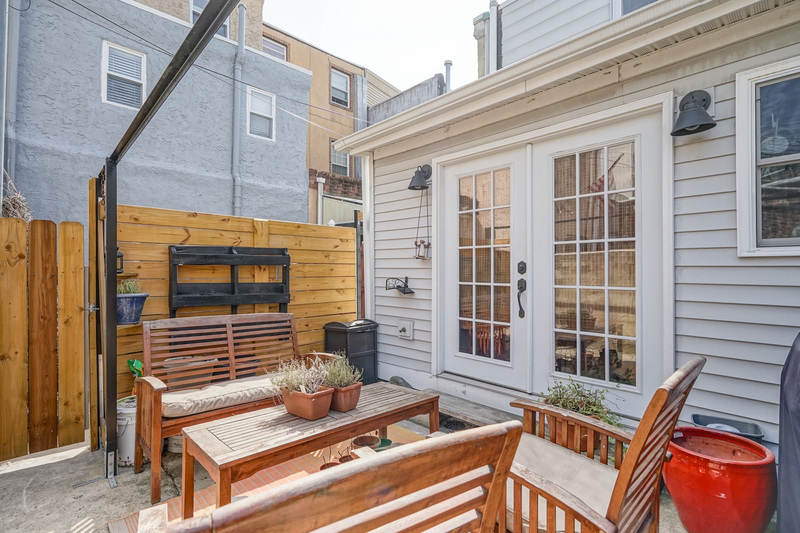 French doors lead you to a rear patio area with enough outdoor space for patio furniture, a small garden and a natural gas grill hook up for al fresco cooking. 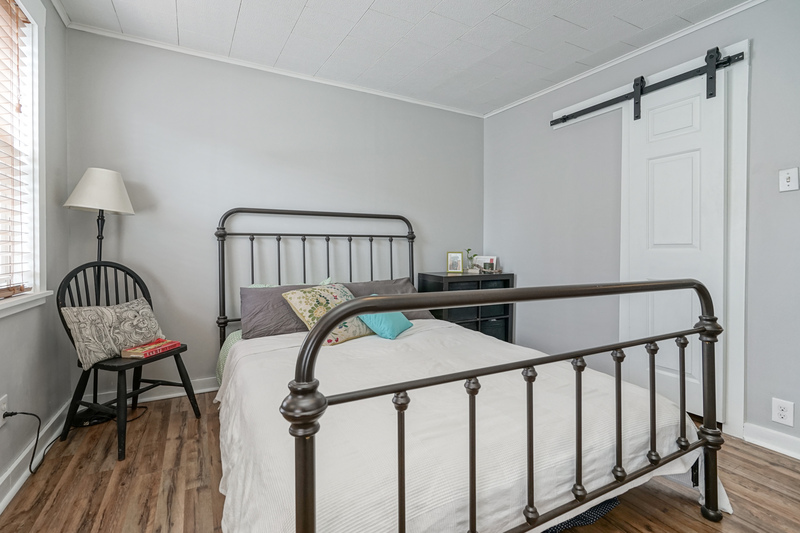 Continue upstairs to find two light filled bedrooms with ample closet space. 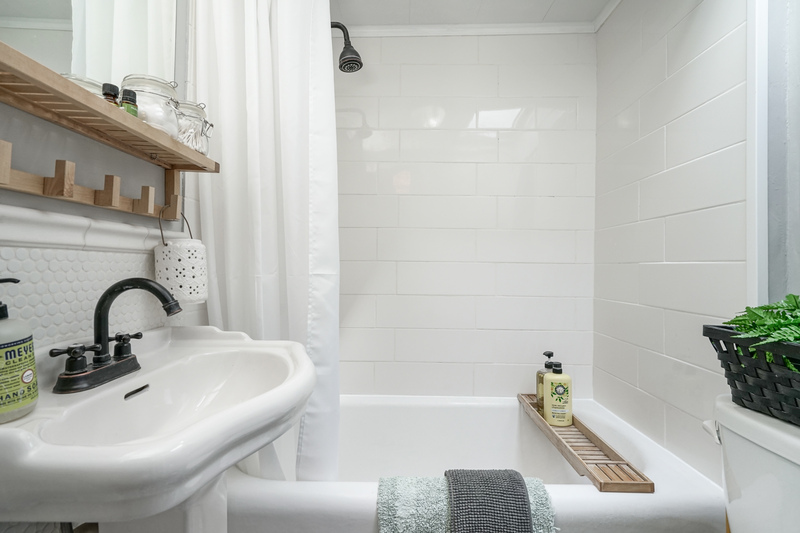 The European style full bathroom is highlighted with a large skylight above. 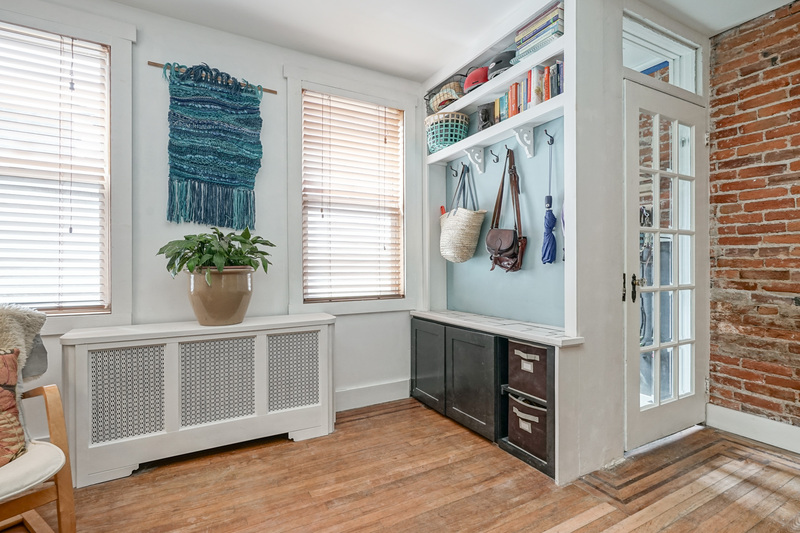 The full length basement provides a washer dryer and a great space for extra storage. 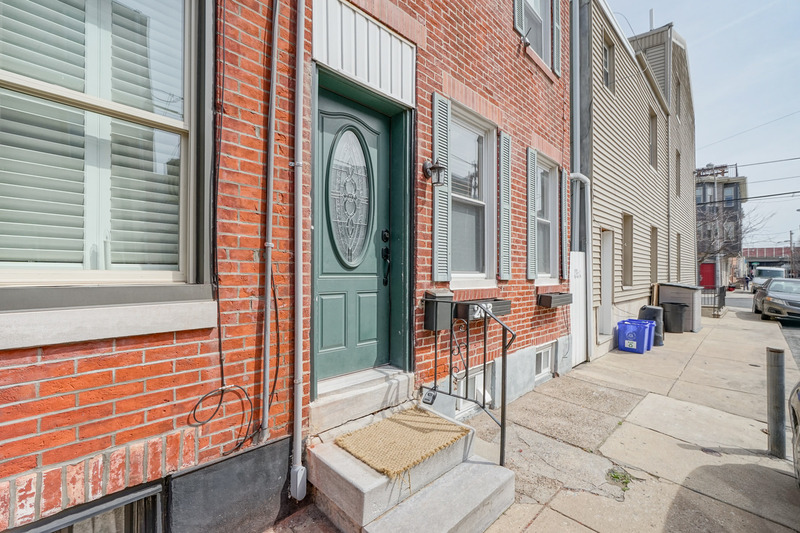 Convenient to public transit and I-95, this home is walking distance to Grindcore House, Hermans Coffee, Federal Donuts, 2nd Street Brewhouse, Pennsport Beer Boutique, Caffe Valentino, Xochitl as well as Dickinson & Jefferson Square parks and all that Philadelphia has to offer.